Dog couches are becoming more and more popular today as many people do not want their beloved pets on their furniture. The next best thing is getting them a couch all their own. 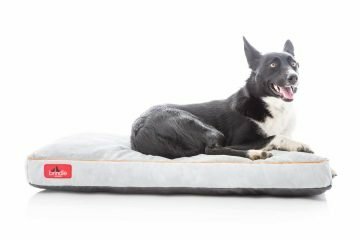 Why we think it is important to write about the best dog beds? Dogs are considered man’s best friend, or in some case’s woman’s best friend. Either way it goes a dog is a great companion for most anybody. Our dog’s are like our children, except they have four legs and fur. Usually they are quieter than our human children and drool less for the most part. They are what many consider as their fur babies. We treat them like another member of our family, feed them high quality food, give them exercise and in return they give us their unconditional love, loyalty and a life long friendship that will always remain with us even after they are gone. 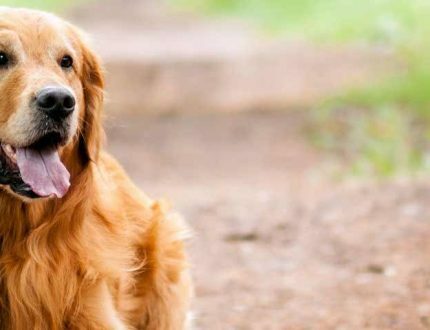 Just like us humans, dogs need quality things in their lives to be happy, healthy, and energetic. Without these quality items their quality of life is no good, they have many health problems, and are just there. 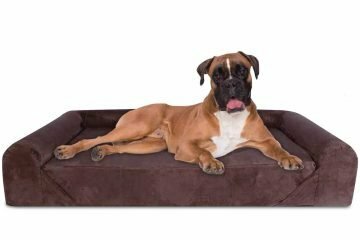 We all want what is best for our dogs and a quality bed should be included in the list of things we do and give our pets.There are many different dog beds out on the market. So many options to choose from and search through the task can be overbearing at best leaving you to settle with what you may find on page two or three. Let’s face it, who has the time to search through 100’s of pages of dog beds to find the best one for your best friend? 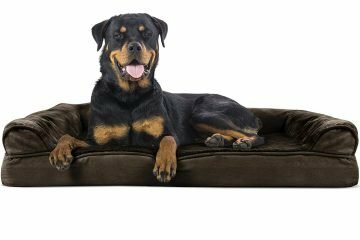 Not many people do, so we took away a few hours of research to provide you with a list of the best dog beds with at least one that is perfect for you, your pet and your home décor. Before we jump to the list, many of us wonder exactly what size bed is appropriate for our dogs without being too small or to big. To find out which bed size is the correct size, measure your dog from nose to the end of his/her rump. Add at least 6 more inches to that length and you should have a perfect sized bed for your dog. That is a general rule for finding the best dog bed size, however, you know your dog and how they sleep and will be better at deciding if you need to reduce the inches in the length of the bed or increase them more depending on how your pet sleeps. 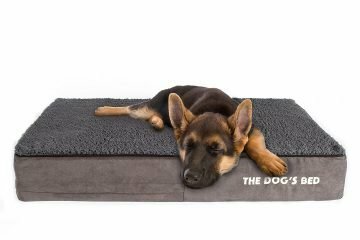 On this page you will find a list of 30 of the best dog beds in no particular order. I will even give you a price range. 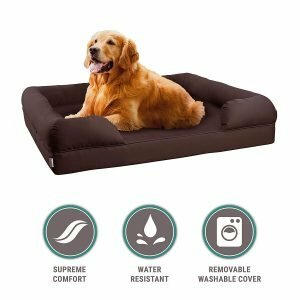 The price range is because the price of the best dog bed will depend on the size of the bed and most of the time on the color option you choose. 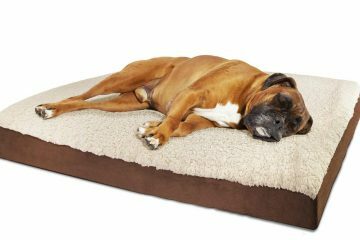 You are sure to find the best dog bed for your dog in this list. 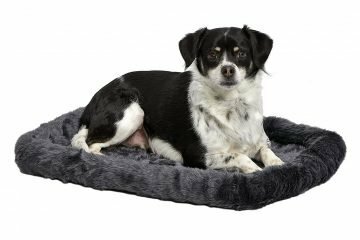 This dog bed eases pet arthritis, hip dysphasia, & post op pain. Comes in sizes small, medium, large, extra large and XXL. Zippered removable Faux Fur top with Suede sides and a waterproof protective inner lining for life’s mishaps. This dog bed is designed to look like a couch so your dog doesn’t feel lonely not allowed on the couch. The wide wrap around bolster is set at an angle to provide support for your dogs back and head. 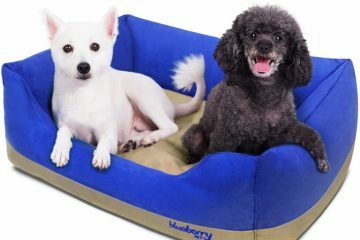 This dog bed has two size options: small and medium with many different options to choose from. 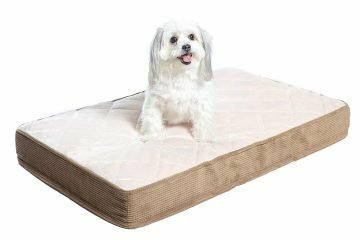 The Furhaven Orthopedic Mattress is a perfect fit for dogs who like to stretch out while laying down or sleeping. Comes in sizes small, medium, large and jumbo with many different color options to choose from which will make it easier to choose something that will fit in with your home decor. This bed features unique swirl patterns on luxurious plush cushion to make your dog feel like royalty. Size ranges are 18 inches to 48 inches long with 3 different colors to choose from depending on size of the bed. 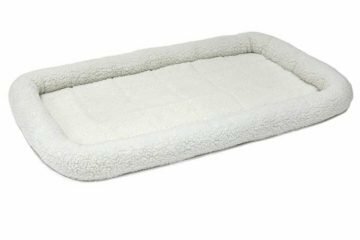 This dog bed is a poly cotton bed filled with super high loft polyester fiberfill and sure to make your pet feel majestic. Sizes are medium and large with 7 color options to choose from. Giving your dog a bed that looks like a couch gives you more room to stretch out on your own without fighting your pet for room. 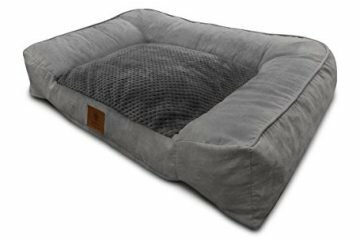 This sofa bed for your dog is constructed out of ultra-plush and supportive extra large memory foam. You may want to switch couches with your dog with the comfort of this bed. This bed only comes in 1 size and has 3 different color options for you to choose from. You get to choose between soft, plush fur and synthetic fleece with this super comfortable bed. 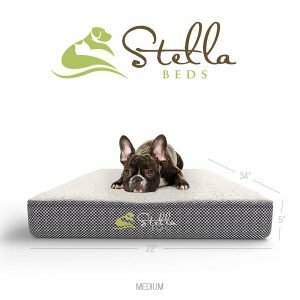 Sizes range between 18 inches and 54 inches with options in between making it easier for you to find a bed just right for your dog. 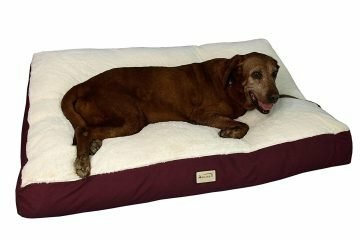 With 5 different color options you are sure to find a bed you and your dog will both love. 100% micro suede with sherpa top for super soft and comfortable rest for your pet. Sizes range from small to extra large and 3 color options, so even your large pet can feel like a king/queen with this bed. Cover is removable and 100% machine washable. 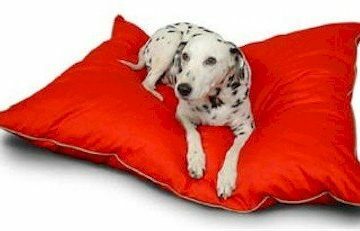 Soft and full comfortable cotton padded pillow bolsters provide extra support for your pet and helps to keep them from falling out of their bed. Comes in sizes x-small to large. his adorable bed with dog prints comes in sizes form 18 inches to 54 inches and is reversible so you can change what it looks like often instead of seeing the same things everyday. This ultimate memory foam bed sets out to live up to its name. Has superior overall comfort, reduces joint pain and improves health, mobility and energy. Made with durable and comfortable polyester and cotton twill. Comes in sizes small, large, and x-large with 2 color options. 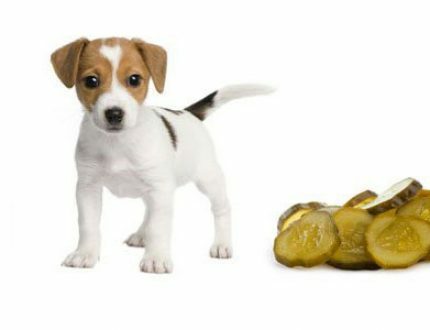 Having a mattress rather than a bed for your dog has a few added bonuses such as less likely to trip over them if they are in a spot that you walk past regularly and usually less likely to hold in smells. This dog mattress comes in sizes small to x-large. 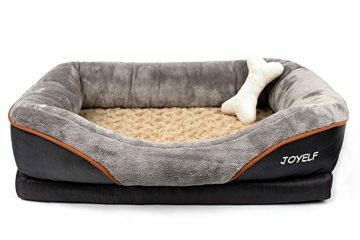 This fleeced covered polyester bolster pet bed from Amazon is sure to keep your pet snug and comfortable while sleeping. Comes in sizes from 21 inches to 46 inches. 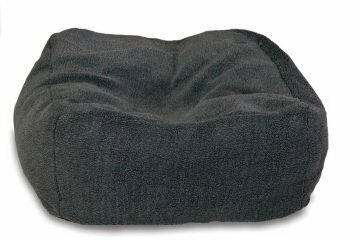 This waterproof pet bed has a heavy duty canvas and soft plush cover that is sure to make your pet comfortable for a long or short sleep. Sizes are medium to x-large. Don’t try to say this name too fast or you may get tongue tied, but do allow your pets to try the mattress as the name says it all. The comfortable couch comes in sizes small, large and x-large with 2 color options. Brindle’s soft, supportive consistency conforms to weight and pressure to relieve achy joints, arthritis, and hip dysphasia and eliminates pressure points for all around comfort. Comes in sizes 17 inches to 52 inches with 4 color options depending on the size. Your dog will be able to fall into a deep sleep on this soft, cozy pillow top plush bed. This bed comes in sizes small and large with a unique egg crate foam ergonomic design. Non slip bottom to ensure pets safety getting on and off of the bed. Sometimes you just need some warmth for achy muscles and sometimes you need warmth because it is cold. Your pet’s needs are not much different than yours and are sure to love this self warming bed. The bed does not have cords and requires no electricity. However, it reflects your pets own body heat to give them warmth naturally. The raised sides help to keep drafts off of your pet which allowing them to use their own body heat more efficiently. Sizes range from 24X20 to 35X27. If you have ever wrapped fleece around you on a cold winter’s day then you know how warm, soft, cozy and relaxing the feel of fleece is. 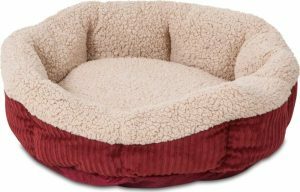 Your pet will fall in love with fleece just as much as you with this fleece covered bed. Sizes include regular and large. The Cuddle Cube will make your pet feel as though they are being held while resting comfortably in their bed. Your pet can slip into luxury in three different size choices: small, medium, and large with 2 color options to choose from. Your big dog is sure to have big barks over this bed. The Big Barker bed supports every curve your big dog while providing extra relief to dogs who suffer from joint pain, recovering from surgery, or living with conditions like arthritis, hip dysphasia or other joint, bone or muscle disorders. Comes in sizes Large, X-Large and Giant with two color options. The silky-soft faux fur sleep surface of this bed is sure to delight even the pickiest pets when it comes to where they sleep. The sizes for this bed are 12”X18” to 28”X48” and have many color options to suit your décor needs. What’s better than a sofa lounge bed? A deluxe memory foam sofa lounge bed. This ultra soft sofa lounge bed can help soothe joint and muscle discomfort from arthritis, hip dyspalasia and other joint conditions. The snuggle friendly, soft micro suede cover has reinforced stitching to help last longer. Comes in sizes small, large, and XXL with 2 color options for every size. If your dog is sensitive to weather changes then this bed is perfect for them. This bed literally has a twist that your dog will enjoy for years to come. 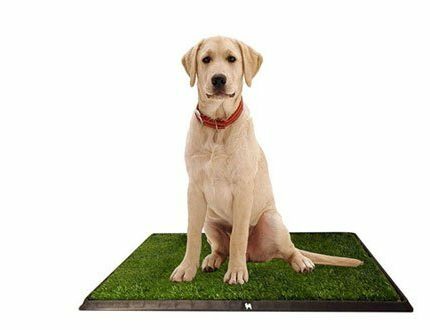 One side is perfect for summer weather or warmer weather in general as it has gel-memory foam and a waterproof cover to keep your dog cool and comfortable. 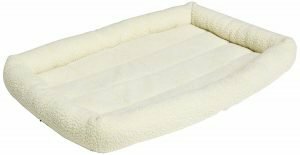 The second side is for winter or colder weather with egg crate style memory foam covered in faux sheep skin for extra warmth allowing your pet to sink in and preserve their body heat. This bed comes in sizes medium, large and X-large with only 1 color option. having a good bed for your dog is as important as it is for you. good to see so many orthopedic beds in this article. people should know how important it is to take care of your dog sleeping place. Nice article, I have never knew that dogs have orthopedic beds too. My friends dog have a lot of problems with his joints, this kind of bed could make dogs life a lot easier.